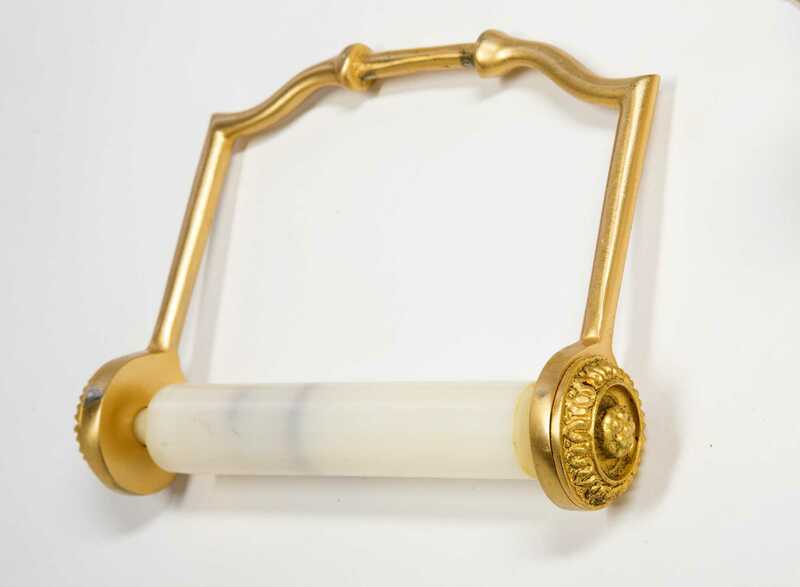 Sherle Wagner 24kt. 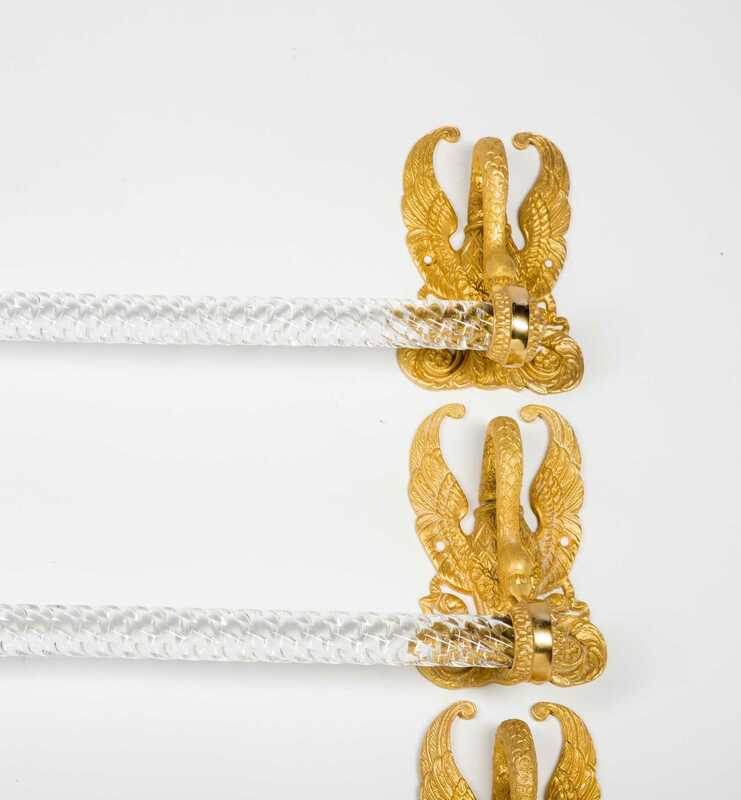 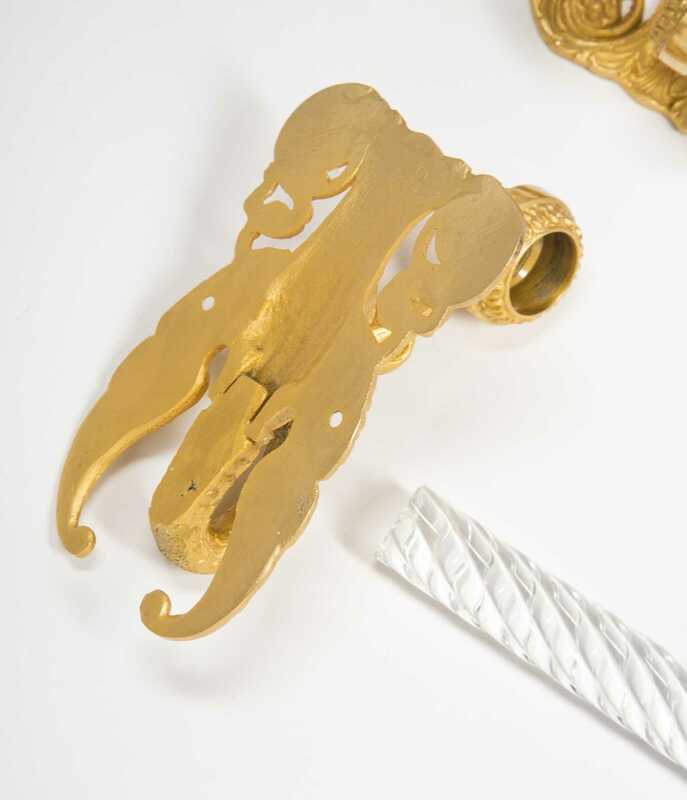 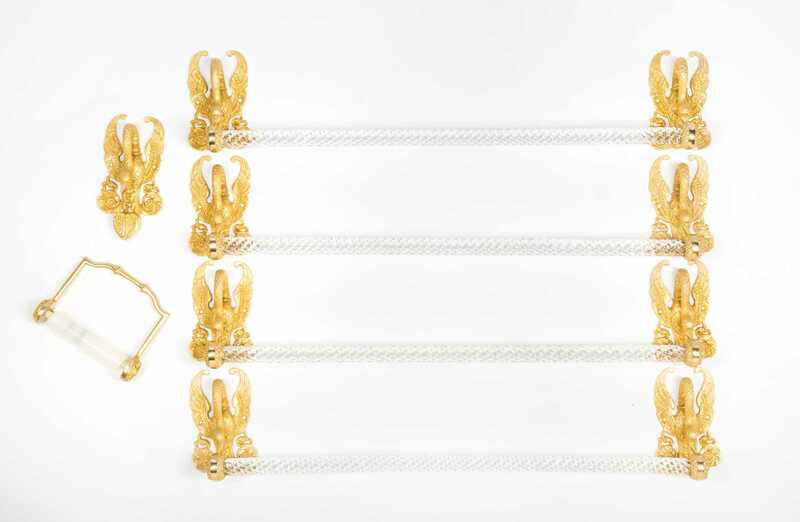 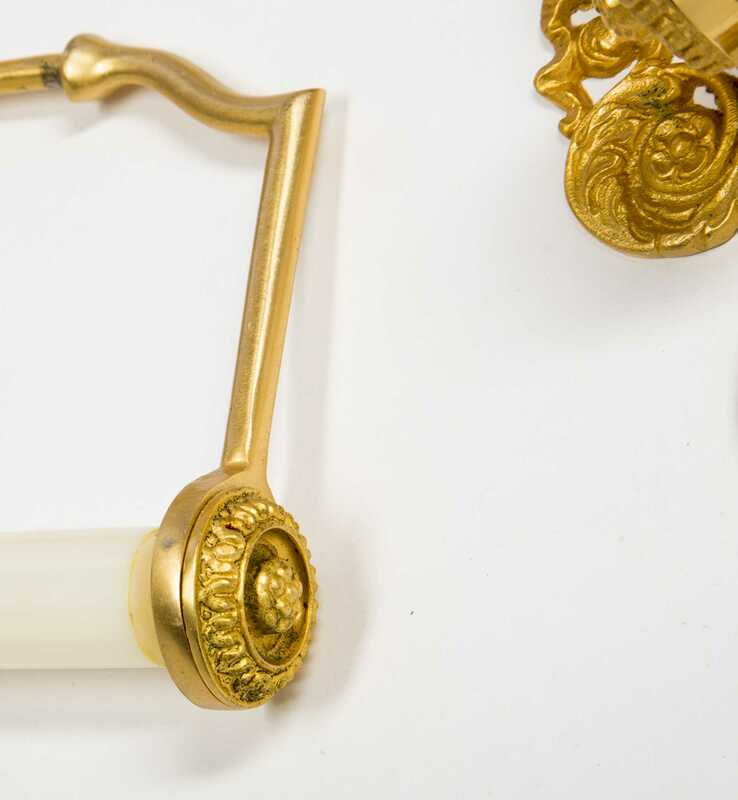 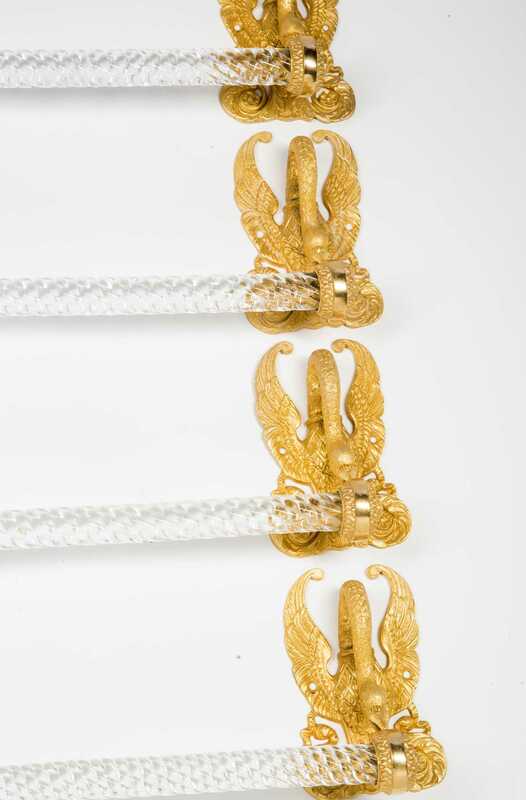 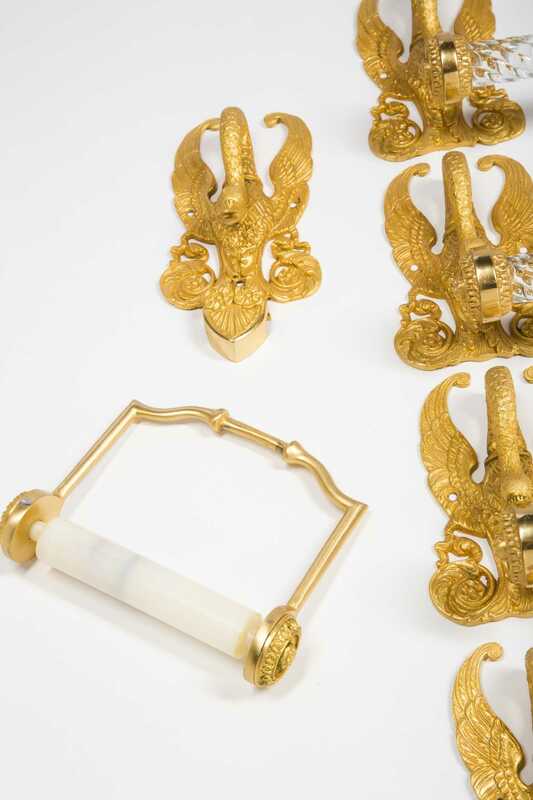 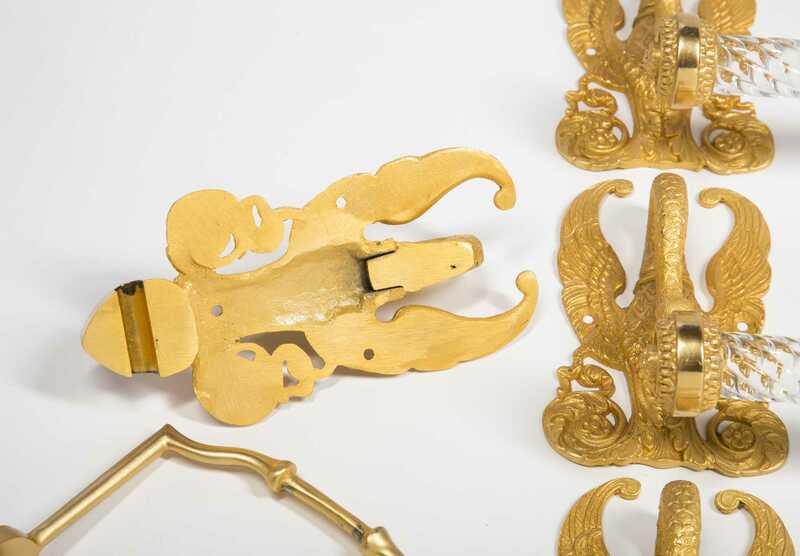 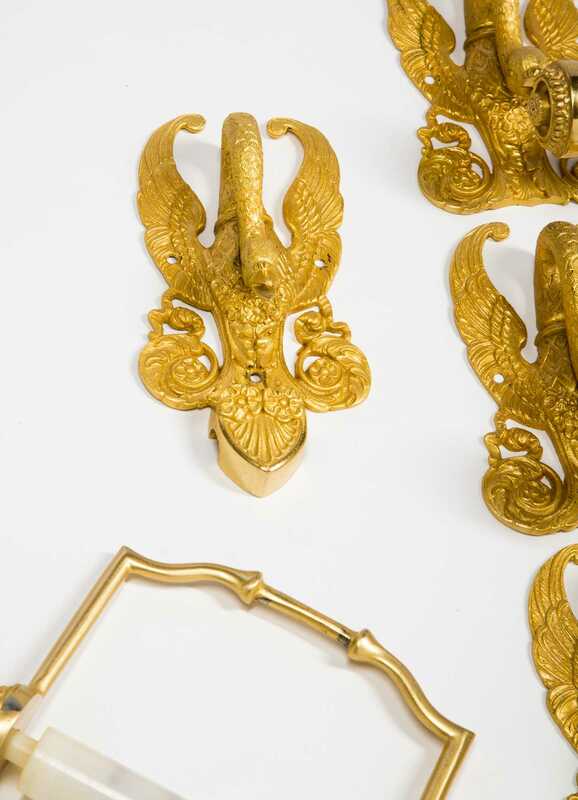 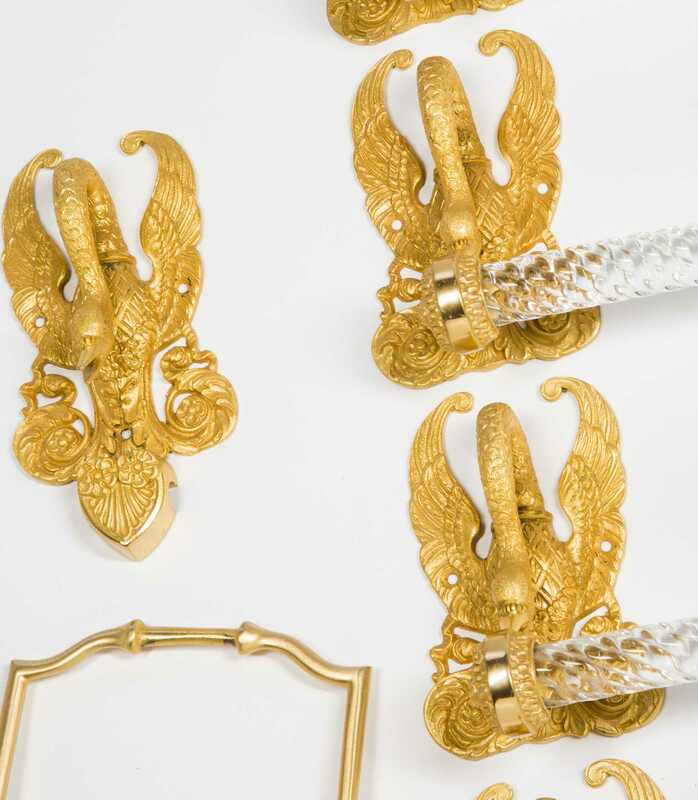 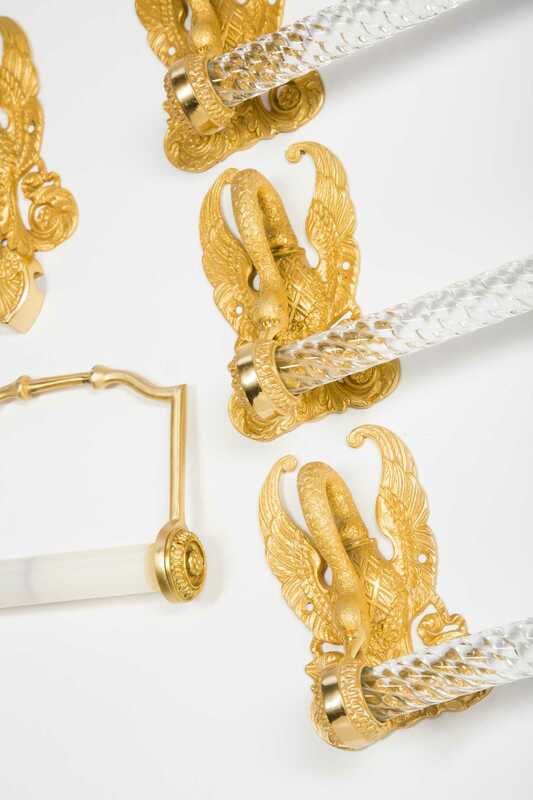 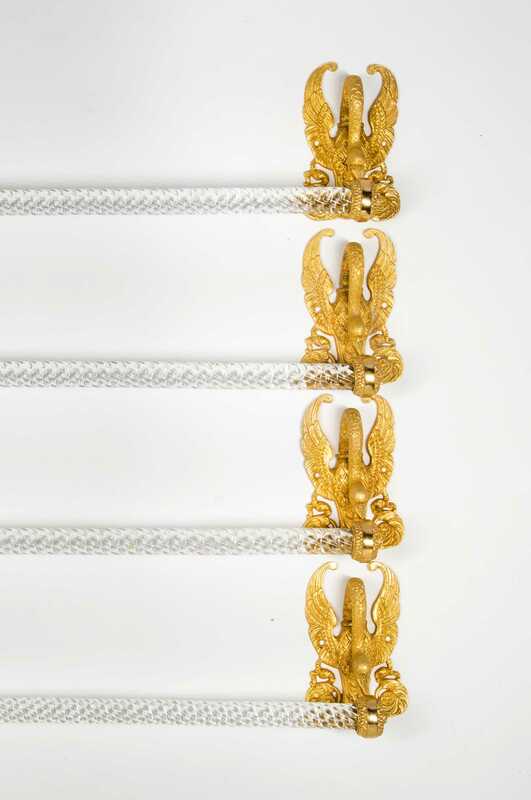 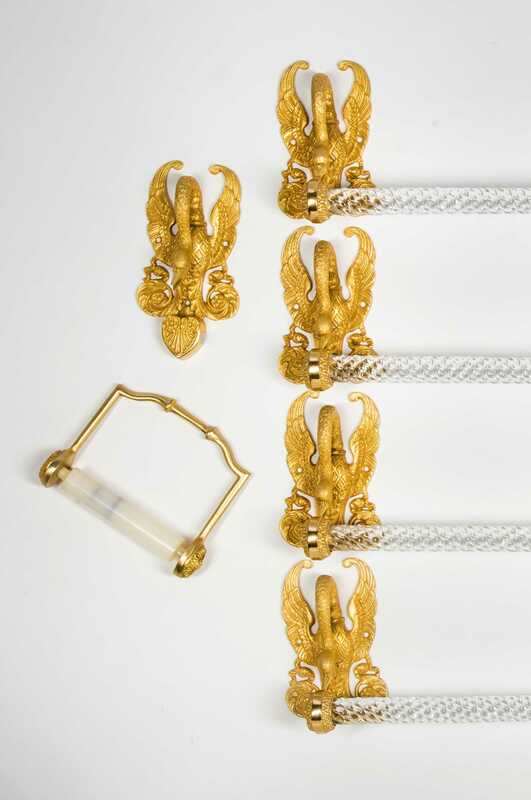 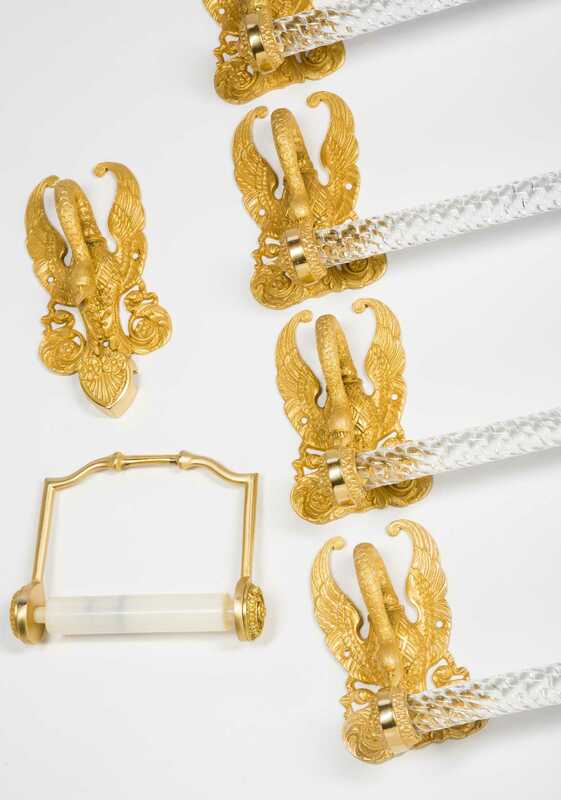 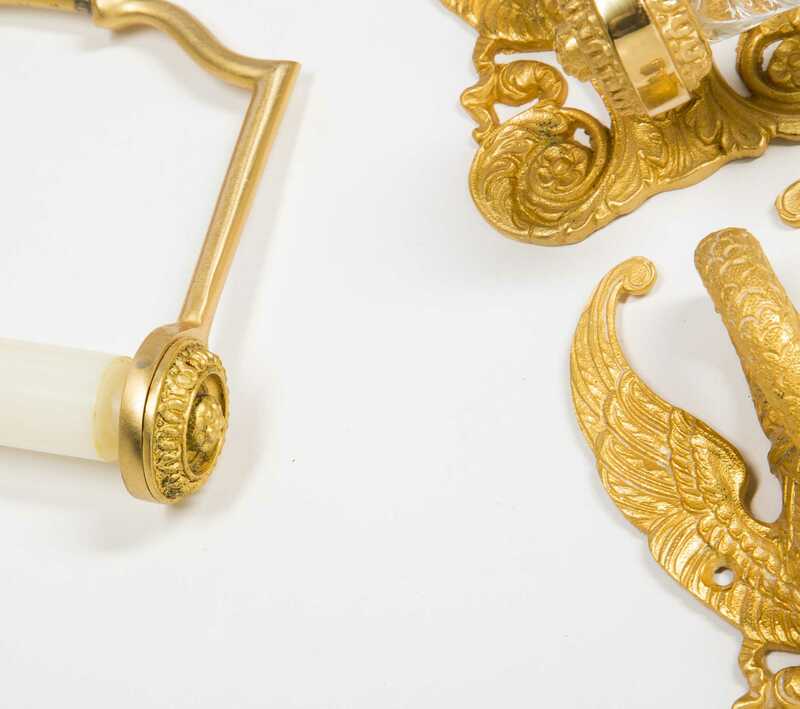 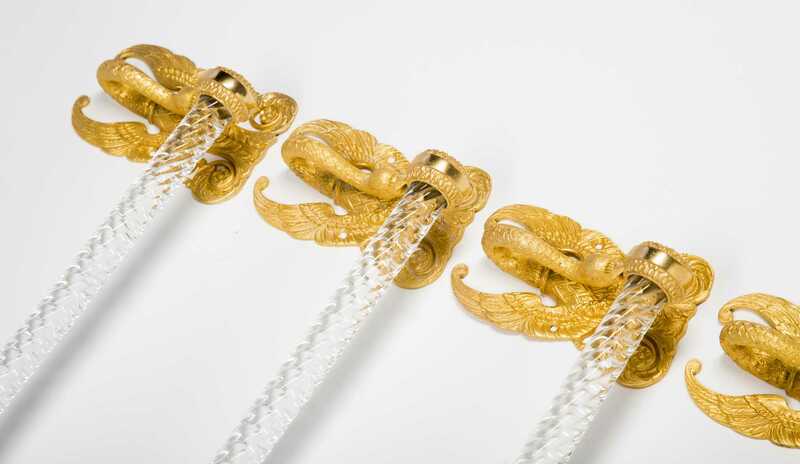 Gold Plated Swan Bathroom Fixtures, four towel bar brackets in swan design with reeded glass rods each measuring approx. 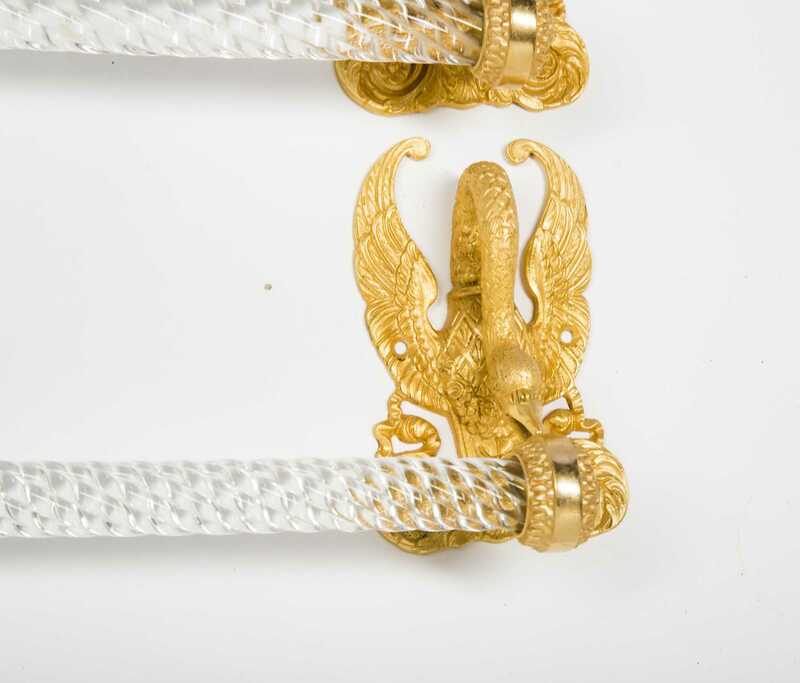 24" in length and one toilet paper holder with plastic bar. 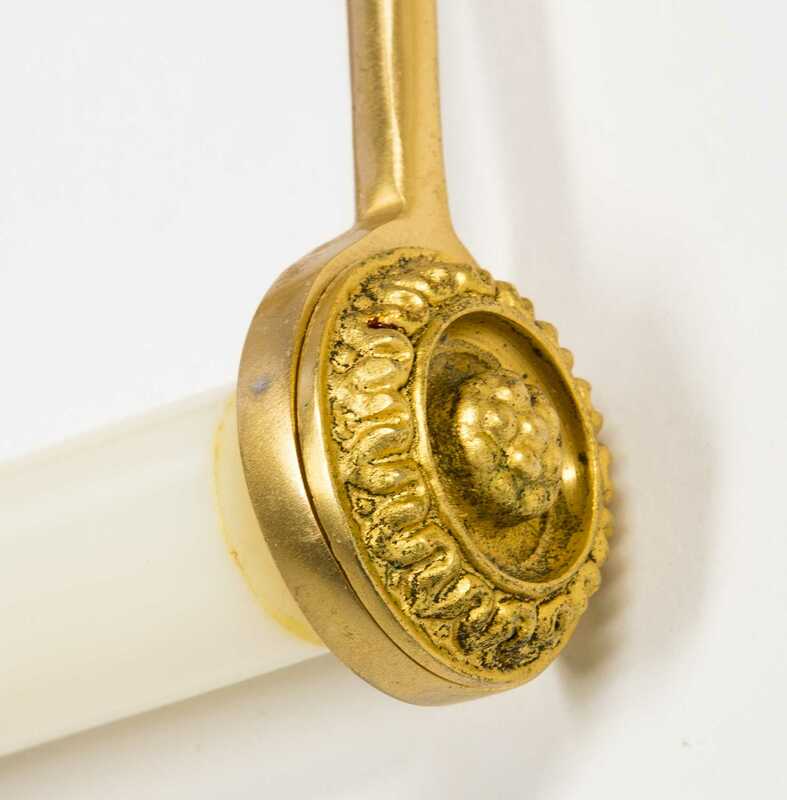 In vintage condition showing some signs of use and little wear but overall good condition. 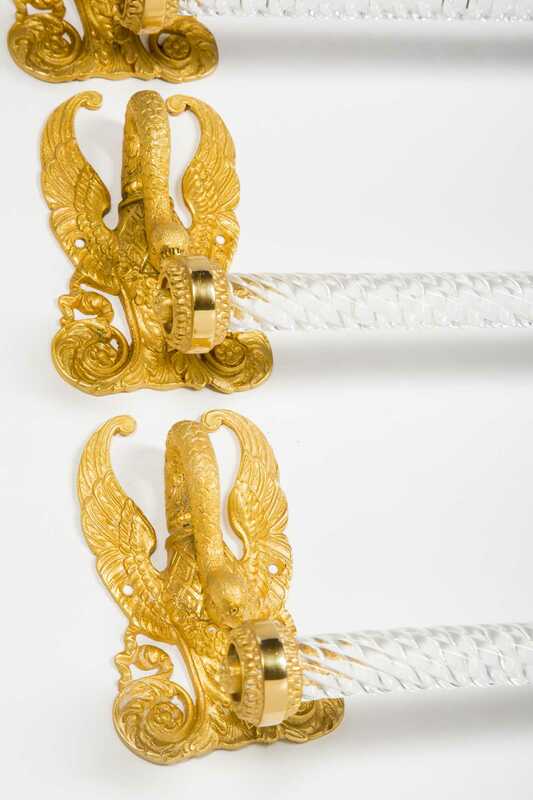 Small areas of plating loss on toilet paper holder.